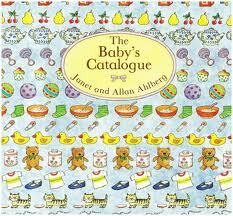 5 a Day Books: Babies! 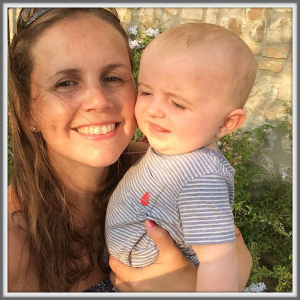 This week we are going for the theme of BABIES as C is beginning to talk more about “the baby in Mummy’s tummy!” As we are still a long way off due date I don’t want to raise her anticipation too much, too soon, but some stories with babies as central characters are a gently introduction! This was a gift from the BookStart scheme and I just love it. 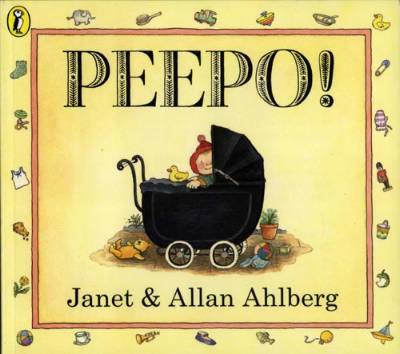 So perfect for a 5 a Day book with its strong rhyme and lovely, consistent concept throughout. Beautifully multi-cultural illustrations, and all about celebrating the unique gift of each child- a real gem! 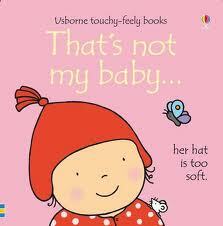 A lovely book from the “That’s not my” series! This was a gift to C when baby Pop was born and they both really enjoy it now. These books are great for easy prediction and discussions relating to textures, as each page is different. We have included this as a 5 a Day book many times now! Quite simply, a real favourite. It goes through the daily routines of 5 babies and their individual families, showing a good range of cultures. I always love the positive and very open images of breastfeeding throughout- quite unusual to find now! Another favourite from the same author and illustrator team. Another day in the life of a baby, this time set in the post war period, with a little hole to peep through on each page. I haven’t met a child who doesn’t love this! 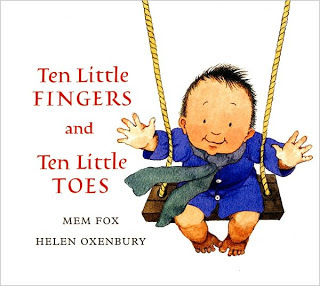 A lovely, simple book with very few words, all about a baby on his way to bed. 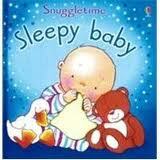 It outlines the bedtime routine extremely simply and is easy to learn the words off by heart. Little Pop loves this too! What books are you reading this week? Have you been creating or playing along to the theme of a favourite story? 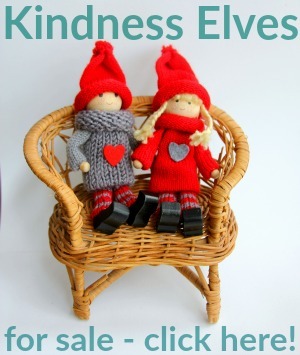 Please link up ANY post relating to books, stories and story-related crafts and games! 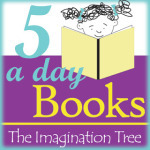 « 5 Minute Fairy Wands! How cute that C is starting to talk more about the baby in mummy’s tummy. My boys are showing their interest in my pregnancy by checking out by how my belly button pops out. Love the books you’ve chosen this week. Oh those look so cute! Thanks for hosting each week. Js absolute favourite story when I was pregnant was ‘there’s a house inside my mummy’. Even though it’s between two brothers, if you can get a copy of it it’s really wonderful. Fabulous collection you have here and I love the cover art on each one! Thanks for hosting. 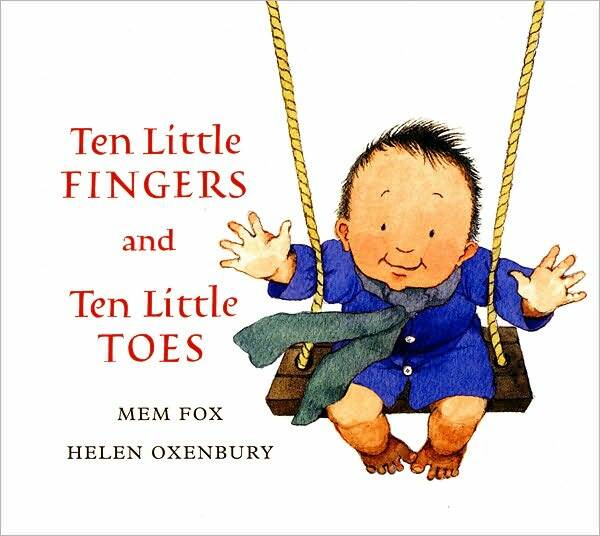 I also love Ten Little Fingers! It is such a sweet story! My little girl has loved this book since she was tiny! Thanks for other book ideas!